This is not really the way to get those extra few feet required when using a forklift! Feel free to save and use this image in your training session, just click on the image to open a high resolution version. 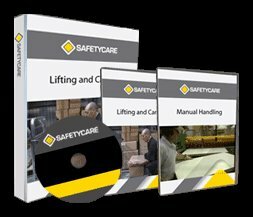 Safetycare has a Forklift Safety Power Pack which contains 2 DVDs and a training course manual. It's a comprehensive, cost effective training bundle. Well worth it . 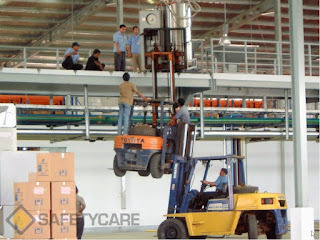 . . even if your forklift operators aren't as bad as those in the picture! Click here for more info.